My forgotten, but pleasant post treasures! You know when you order a few things, but they take a while to deliver and you completely forgot that you ordered them? That’s what nicely happened to me, yesterday evening! So, I was in bed having a chill and catching up on YouTube – when my flatmate knocks my door with 4 parcels for me! 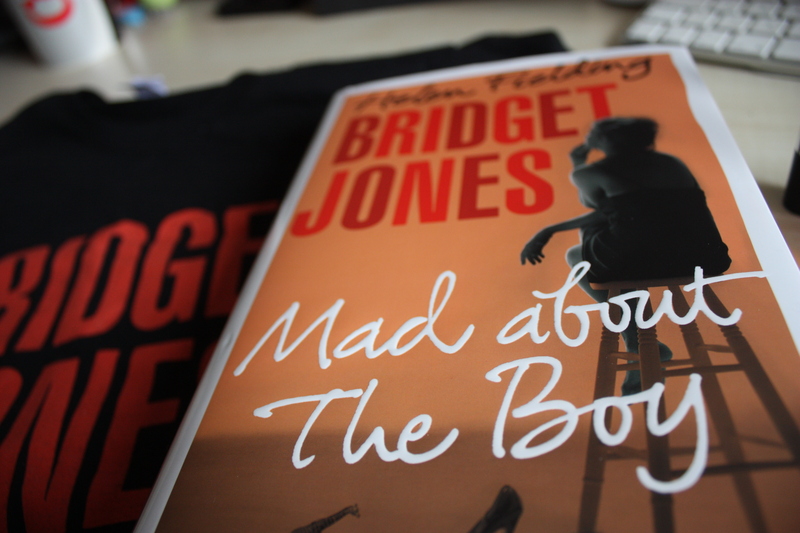 Firstly, I was sent a copy of the newest Bridget Jones book – which I am incredibly excited about! If you know me, then you’d know that I’m a big reader and also have a book blog at http://nuggetstump.blogspot.com. I tweeted about my excitement for this book release and I was luckily contacted by Vintage Books to see if I would like to be involved with the launch of the book. They wanted to use my tweet on London Underground on their TV screens (that go past the escalators), in return I received a copy of the book and an amazing Bridget Jones t-shirt! So I’m really thankful for them, offering me such a nice opportunity! These next items are something that I am slightly obsessed with. In the UK, you can’t get many fragranced hand sanitisers, unless they’re the Body Shop’s strawberry/mango/blabla ones. Whilst I was in Florida in the summer, I visited Bath & Body Works and purchased 5 of these hand gels for $5. They had a really limited selection at the store I went to, but I have been looking for a way to purchase more for ages! For some reason, I didn’t think of looking on ebay, but VOILA – there’s loads on there, and they even stock the Christmas and Halloween scents! I had to purchase these straight away! 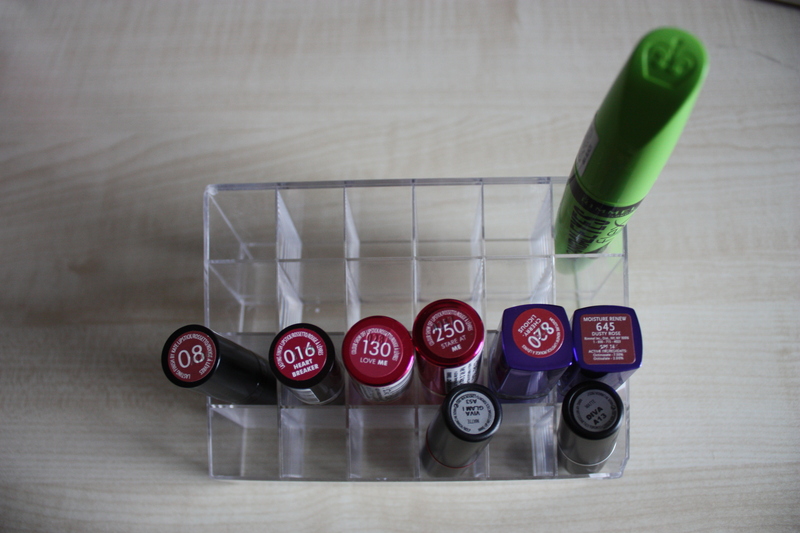 They were on a really good offer – £2.99 each, and if you purchase 3, you get a fourth gel for free, from a lucky dip! I decided to get the christmas scents, in: Iced Gingerbread, Cranberry Twinkle and Tis The Season – then I received Pear Berry Cuddles as my free one. These smell seriously gorgeous! My next purchase was mainly because I have been buying some MAC Eyeshadows recently and I felt that I needed some decent eye brushes, as I didn’t own any. So I have opted for the Real Techniques set, as my Core Essentials Set was definitely value for money – they are such a high quality, and if you visit the US, you can find these for $8 a set! (Ridiculously cheap compared to the UK’s £22.99). I purchased these from Amazon for £16.29 – they come with the Deluxe Crease Brush, Base Shadow Brush, Accent Brush, Pixel-point Eyeliner Brush and an Eyebrow Brush. The Body Shop’s Lip Scrub Stick – I usually use Lush Lip Scrub in Mint Julips, but now that it’s just under half full, I don’t like the feeling of sugar going in-between my nails whilst I’m trying to get some product out of the tub! So, I opted for this stick from The Body Shop. It is a moisturising lip balm, but it also has exfoliating beads within the lip balm – so it’s very 2-in-1! 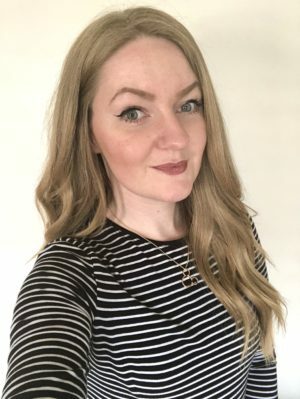 I would show you a photo of the product, but it’s a bit smooshed and manky after I tried it out last night – I simply couldn’t wait any longer to test it! Whilst picking my last item up on The Body Shop’s website – I took advantage of their 35% off deal and thought that I would purchase another lip balm (I have the Coconut one and it tastes and smells amazing! 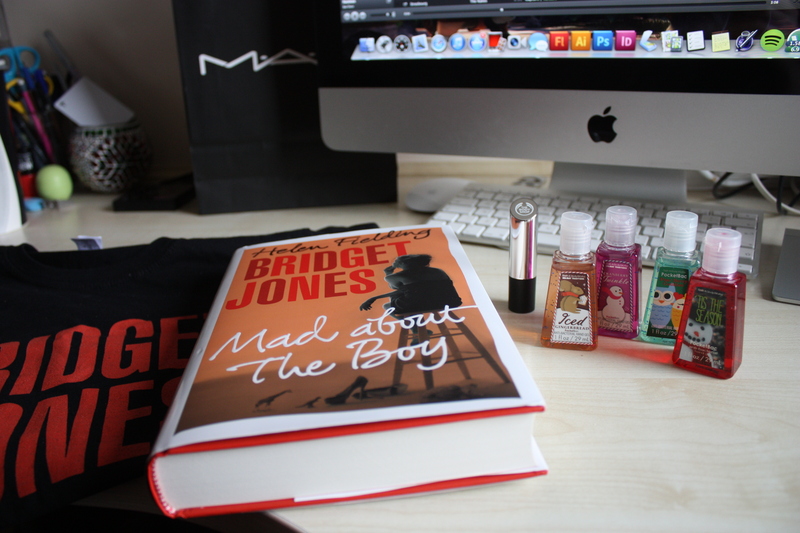 ), so I grabbed a Mango lip balm this time! It’s practically the same as my other one, but obviously the scent is different – although I do find that this lip balm is a lot softer than the coconut one. I have to wait for my fingers to warm up on the surface of the coconut lip balm, before it melts. 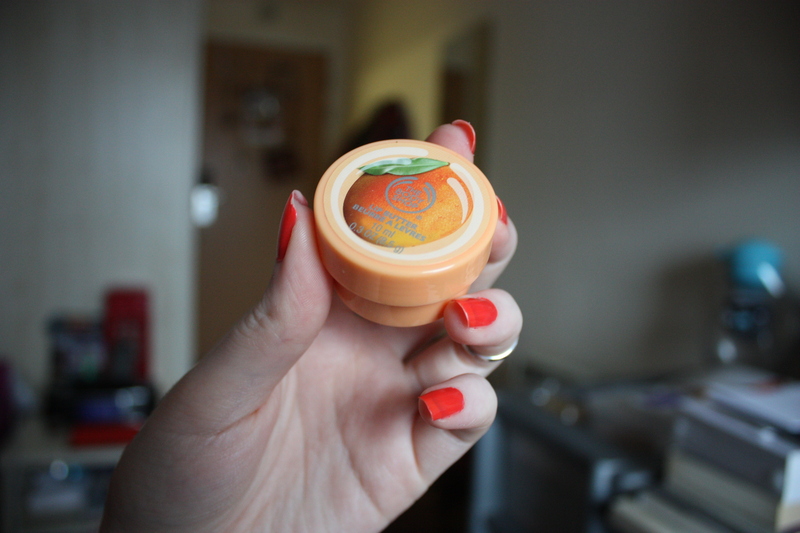 But yeah, I find the packaging adorable too – and you can’t get enough lip balms! I’m forever having 2-3 different balms in each bag that I have, so I don’t have to repack my bag every single day! The last product I bought was from eBay – I ordered this about 3 weeks ago from Hong Kong, and it only now arrived (which was expected). 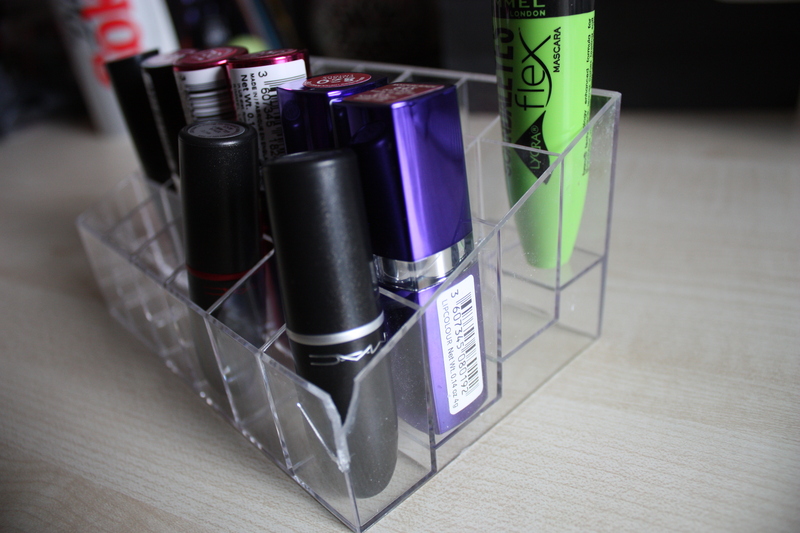 I thought that my MUJI clear drawers were getting a little overcrowded with lipsticks – so I bought a stand for them, to go on top of the drawers. 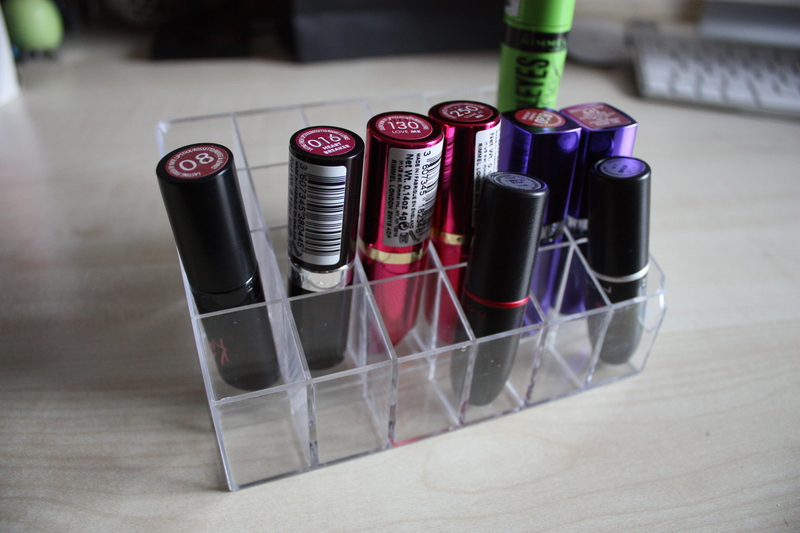 I have put a few lipsticks in the holder to show you how certain brands would fit into the stand – it even fits a mascara too! Sadly, it was cracked at the corner when I received it – but for such a small price and travelling all of the way from Hong Kong, I didn’t really care. It is definitely still useable, so yes! I have inserted a photo, just to show you the crack anyway. What have been your cheeky purchases of the month? Anybody started Christmas shopping yet?! Hello there, new camera! + Upcoming week plans!